Meet the Board Members | Arizona Magic Youth Outreach Inc.
Anthony Ray: President, has worked hard daily to cover Arizona’s high school and Junior college basketball prospects since 1995 and has worked to improve the lives of Arizona youth for almost 20 years now. Ray was a standout player for the Moon Valley Rockets, graduating in 1991 and playing collegiately at lake Forest College (IL) and Pima Community College. Anthony completed his Bachelors at Arizona State University in 1995, and completed an MBA at Western International University in 2015. 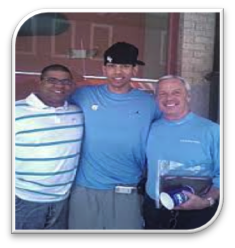 Anthony founded the Arizona Hoop Review in 1995 as a media outlet for Arizona basketball and now has more than 100 schools subscribe to his report annually. Anthony also launched the ArizonaPreps.com site in 1999 as a way to connect the Arizona high school and junior college basketball communities. He is highly respected within Arizona and the national basketball community, and regarded as a major factor to the transformation of Arizona high school basketball. Jacquelyn Granger: Vice President of Community Outreach,has been a big part of the Arizona Magic’s ability to promote Arizona’s student-athletes through her hard work and determination. Jacki joined the Arizona magic in 2008 and since her addition; she has made tremendous strides in helping the organization reach new heights in its ability to promote Arizona youth basketball. 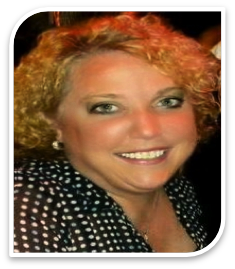 Jacki has developed a love for helping the disadvantaged and became involved in helping other non-profit organizations, such as juvenile Diabetes. Granger’s commitment to Arizona basketball, as well as her belief in our organization has helped the Magic continue our pursuit of changing the landscape in Arizona basketball. Deanna Jordan: Director of Community Relations,A native from Connecticut, Deanna has called Arizona home since 2003. She has both her Bachelors as well as Master in Business from Chadwick University. Deanna had several scholarships for basketball to several universities. She became a consultant for the Telecom/Information Technology industry, on engagements as far as Australia and Venezuela. She helped build a major’s Mobile Phone Provider Network Management Center. She was CEO of Nulogic from 2003 to 2008. She was Director of IT for Stinger Welding, a bridge manufacturer and then started her own small business consulting company. 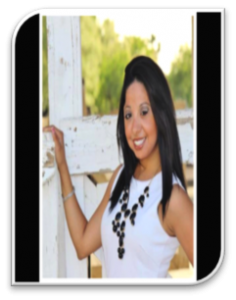 Currently, she is a loan officer for Capstone Mortgage, a boutique mortgage bank in Scottsdale, AZ. Deanna was a long term Board Member of Equality Arizona from 2004 to 20011 and was dinner chair of several dinner events. Deanna believes the best way to create change is to be the change and that is why she sits on several Boards. Currently she is on the Arizona Magic Youth Organization, Mulligan Manor Board, and the Fusion Foundation. Deanna lives by the mantra “to live is to experience and to experience is to live”. 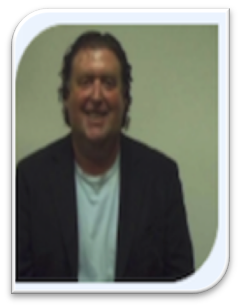 Dr. Peter Newman, Director of Education, Growing up in NYC has given Peter an opportunity to learn about cultural diversity, which has led to many positive influences in both his personal and business life. Since starting his career, he has held many positions working through the technical ranks of manufacturing, engineering and finally management in Fortune 500 companies. During that time he was given the opportunity and privilege to travel worldwide addressing customer problems and charged with the responsibility to resolve any issues that may have arisen. While traveling many parts of the world he saw first hand how many underprivileged children were being denied the right to be educated. Therefore, it has been both a hobby and mission of his to go into the schools with the purpose to bring life experiences into the classroom and to ignite within each student the passion to learn.Peter has over 30 years of experience in both R&D Semiconductor Manufacturing and Information Technology. Peter received both his Bachelor of Science undergraduate degrees in CIS and a Bachelor of Science in Business Administration from North Carolina Wesleyan College. He obtained an MBA, Masters in Business Administration from Pfeiffer University in Rocky Mount North Carolina. Then completed a PhD in Information Technology and Business Management at Capella University in 2010. Mark Stafford: Director of Internet Marketing,is a native born Phoenician who loved basketball as a child. He married young & has 4 children and 5 grandchildren at age 52. Mark built his first website in 1995 and went to a technical school named Techskills in 2001 focusing on Internet technologies. A life-long entrepreneur, he started his 4th company Arizona Social Media in 2010 and helps local business owners market online.He brings a vast knowledge of marketing to the Arizona Magic to help with fund raisers and social media to spread the word about this wonderful non-profit that helps so many kids in Arizona learn how to play basketball and other fundamental skills they will use in life. 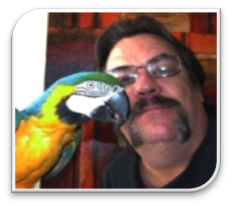 He is an avid parrot lover too. Melina Shah, Fundraising Committee, grew up in New Jersey and always stayed active within her community, sports, traveling and making a difference. She graduated from Rutgers University with a triple major in Management, Marketing and Supply Chain. One of Melina’s biggest achievements at Rutgers, was being nominated as the Event Coordinator for the entire student body and coordinated over a dozen events each semester during her Junior and Senior year. After graduating from Rutgers, Melina landed her dream job working for Martha Stewart. Soon after, Melina decided to make a serious move that would forever change her life. She left New Jersey and ventured off to Las Vegas, Nevada. In Las Vegas, she became an Insurance Agent for State Farm. Upon moving to Arizona, Melina began to work for a Restoration Company, SERVPRO Industries and quickly realize she wanted to take on an amazing career-challenge to become a Public Adjuster with Brian Molineaux’s Company, Loss Consultants, LLC. While she is running around chasing fires, water damages and countless of emergencies to homes affected, you will find Melina working with dozens of non-profits as she is the Co-Chair for the Philanthropy Committee partnered up with the North Phoenix Chamber of Commerce. Melina plans on using her passion for our Arizona Magic Outreach, Inc and will help with organizing the Fundraising Committee for our events and fundraisers throughout the year. Sergio Castillo, Treasurer, is a proud Arizona native, who has a passion for helping the youth of Arizona realize their dreams. Sergio is currently a financial consultant and is very excited about helping the Arizona Magic reach their full potential. 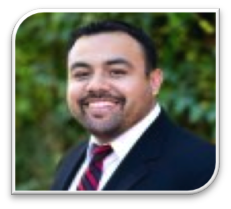 Sergio has been working with the Arizona Magic since 2013 and he also servers on numerous other committees, such as the Hispanic Chamber of Commerce. Sergio is exicted and proud to be a part of an organization that has helped over 330 student athletes receive collegiate scholarships.